I have mentioned before that my Grandparents are the people who had interested me in collecting postcards. They were knowledgeable but they were not true collectors in the sense that they saved them for the cards' value but they saved them, like many people from that generation, because they liked the images. 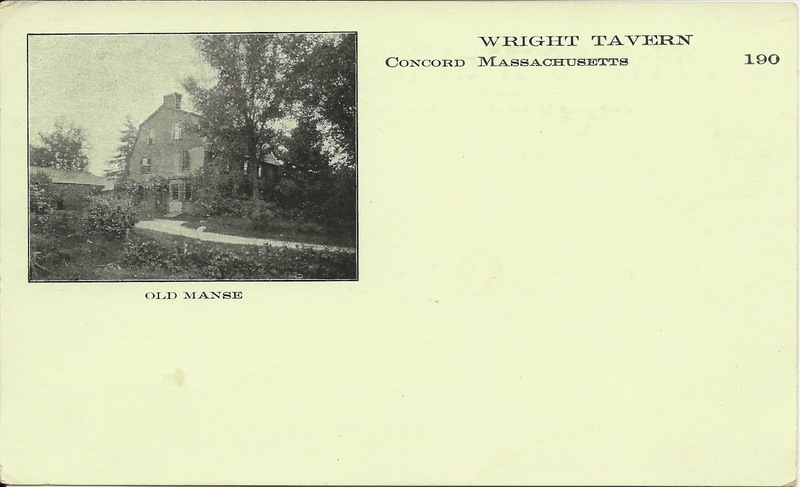 When I first started collecting I had asked several times why the backs of the postcards had to tell the people which side was for writing a message and which side had to have the address. 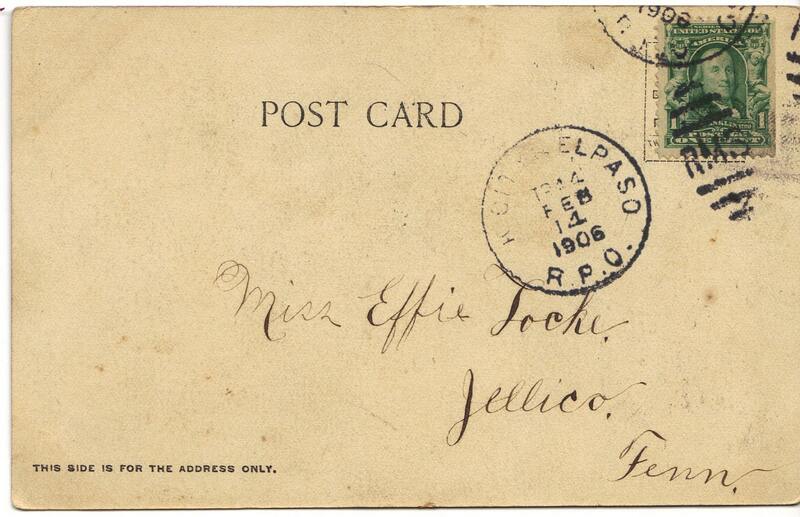 I thought that if I, at age 8, knew that you always put the address on the lower right of anything you sent, that the people from the early 1900's had some issues. But of course they explained that before those cards were made that people wouldn't be able to write a message on the back at all and that it was simply telling them that it was alright for them to do so. 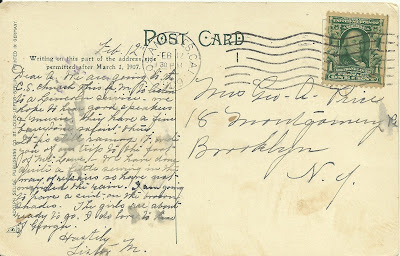 I didn't think much more about it until I started to take my collection seriously and now have found that the postcard, as we now know it, has gone through a lot of controversy, politics, and even a little bit of a fight to get its start. 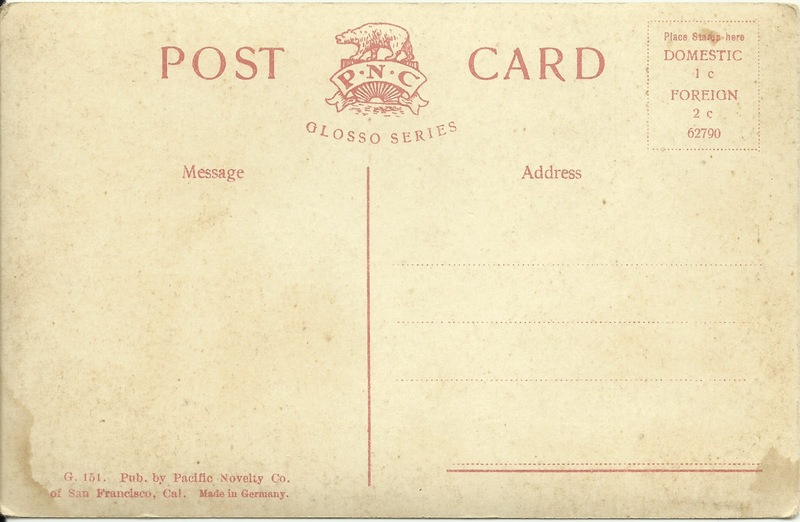 People first used postcards as quick way to send a message. It was not intended to be decorative or to send the beautiful images of travels that we see today. The first privately made postcard was printed in 1861 by a man from Philadelphia, John P. Charlton, he copyrighted this card and then sold to another man by the name of H.L. Lipman. 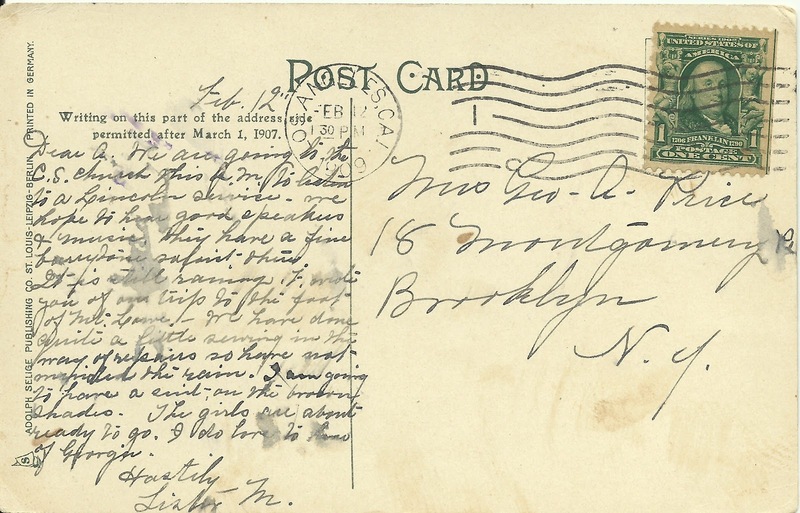 At that time the card was simply adorned by a small trim and the words "Lipman's Postal Card, Patent Applied For. "(1) In 1873 the US government made an official US Government Postcard with preprinted postage that replaced the Lipman cards. 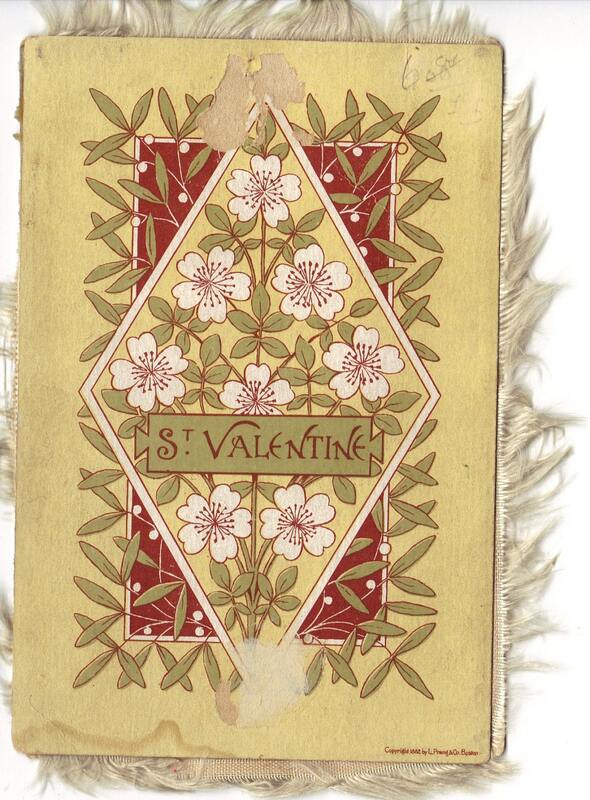 Cards that were made privately during this time period were either hand delivered by the person or they would cost the same 2 cent stamp to be mailed, which was the standard cost of a letter. Once the government started to print postcards they charged only 1 cent to mail theirs but all other privately made cards were still the standard 2 cent rate. 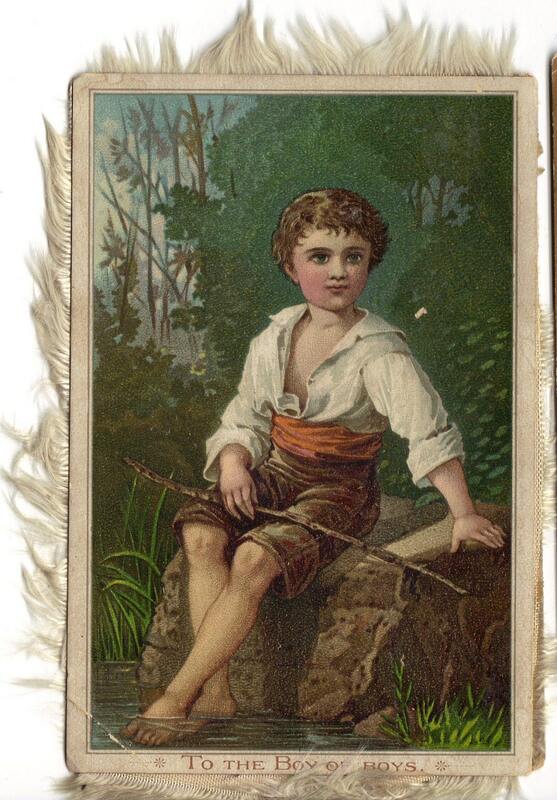 The first government cards were not intended to be collectible or souvenirs so they were very plain with no images or a simple vignette image showing some advertising. It wasn't until 1893 at the Colombian Exposition in Chicago that government printed a decorative image onto the postcard meant for people to collect as souvenirs. 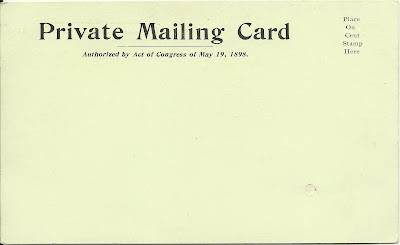 In 1898 congress passed the Private Mailing Card act that allowed private cards to be mailed for the 1 cent rate but the cards could not be called "Postcards" that was reserved for the government printed cards only. 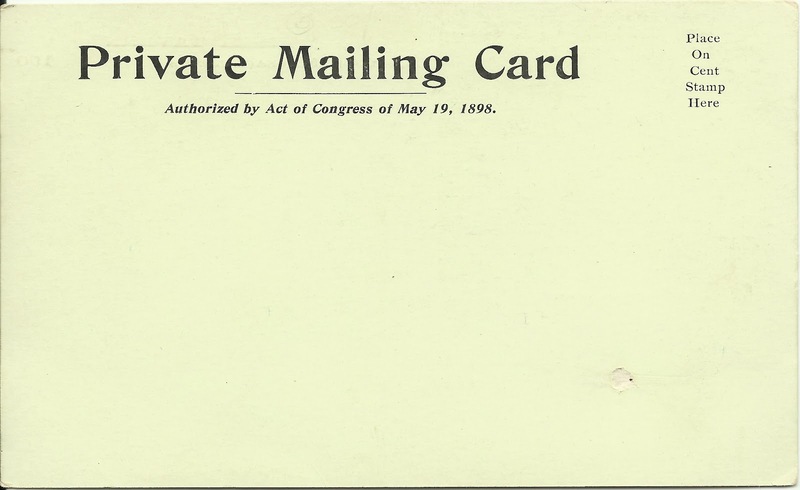 Instead the private cards had to have the words "Private Mailing Card Authorized by Act of Congress of May 19, 1898" on the back as you can see by my example below. 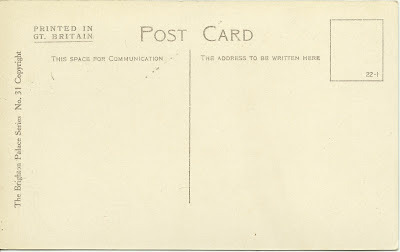 During this same period it was not legal for the sender to write anything other than the address on the backs so there was no need to have the card backs divided, like many are today, and that would be what is called the Undivided Back Postcard (UDBP.) 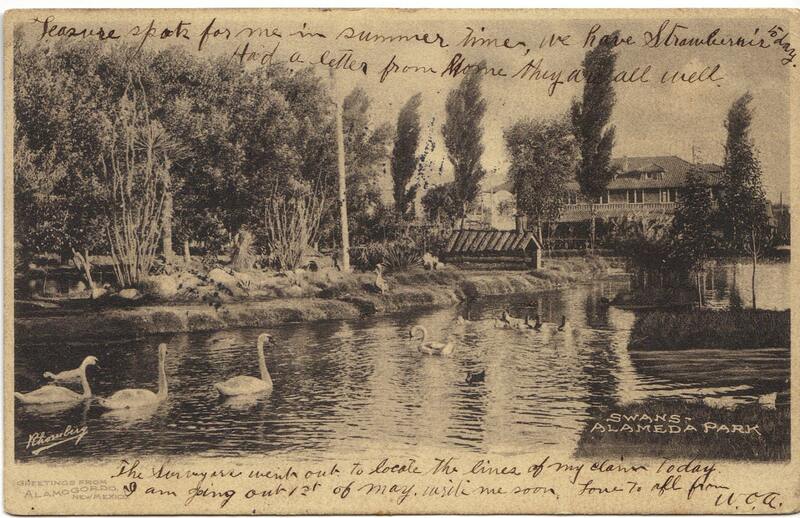 If the person wanted to write a message on the postcard it had to be written across the front of the image. Often the cards accommodated this by leaving a large, overstated, blank margins to write in so it wouldn't ruin the image. 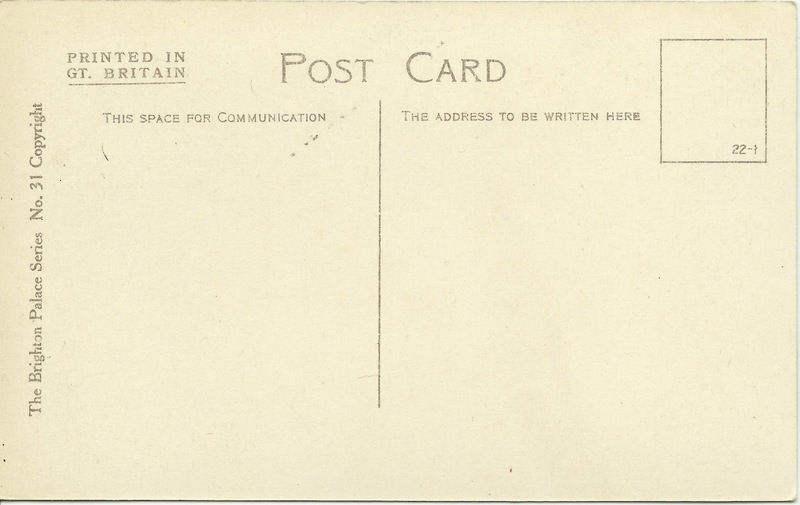 December 24 1901 the makers of Private Mailing Cards were granted permission to use the words Post Cards or Postcards from the US government and they were no longer required to print "by act of congress..." on the backs. The cards were mailed with the cheaper government card rate of 1 cent and they were no longer forced to identify themselves as private mail. After 1907 the government started to allow people to write on the backsides of postcards and as you can see by my example they actually wrote "Writing on this part of the address side permitted after March 1, 1907" Later it was shortened to phrases like "This space for communication" and that is why it was necessary to tell people where they could write the message. An 8 year old child's question has finally been answered. This was a very brief overview and for some of the dates and specific names (1) I referenced information provided by http://www.emotionscards.com/museum/historyofpostcards.htm. They have so much more information if you are interested I strongly suggest checking them out they are very informative and helpful to me when I am trying to identify new cards I find.